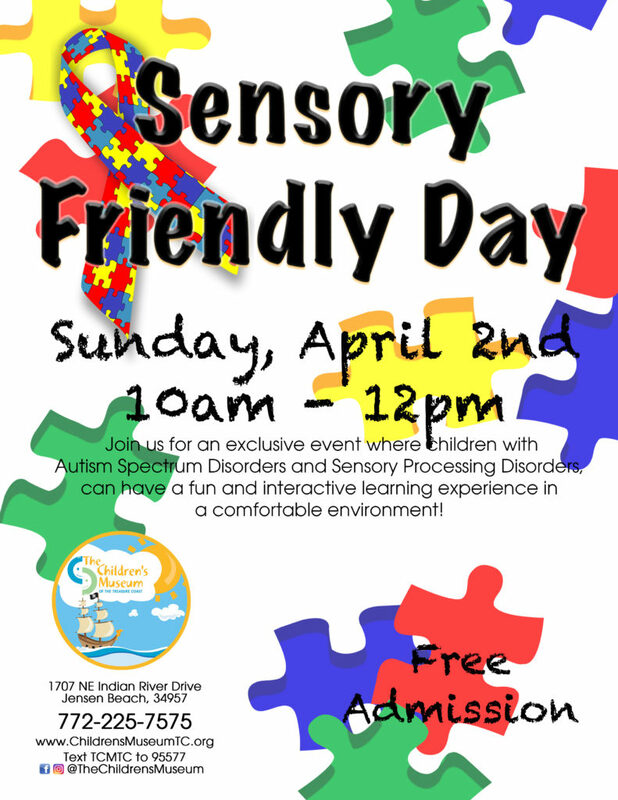 On Sunday, April 2nd, 10am – 12pm The Children’s Museum of the Treasure Coast will be hosting another special Sensory Friendly Day for children with Autism Spectrum Disorders and Sensory Processing Disorders. The event is free for pre-registered families and provides an interactive learning experience in a comfortable environment. It’s a time for families to enjoy the museum in its purest form. Call the museum to register as there is limited space. The Children’s Museum would like to have these events quarterly and can only do so with the help of community sponsors. If you are interested in sponsoring the next Sensory Friendly Day contact the Children’s Museum for more information.